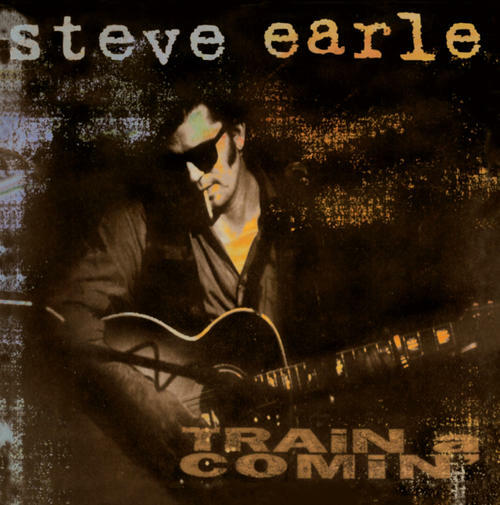 “Train A Comin” the 1995 release by Steve Earle was his first album since the “The Hard Way” five years earlier. Steve returned to basics on this all acoustic record with help from Peter Rowan, Norman Blake, Roy Huskey, and Emmylou Harris. “Train A Comin’” finds Steve mixing some of his older material written decades before, such as “Mercenary Song”, with choice covers of the Beatles “I’m Looking Through You”, Townes Van Zandt’s “Tecumseh Valley” and The Melodians reggae classic “Rivers Of Babylon”. A critical and fan favorite “Train A Comin’” is a gem and one of the best albums of Steve's career. Issued for the first time ever on vinyl with a double sided insert.